The towering statue of Buddha could be seen from afar, a prominent structure at the top of the hill at Ngong Ping. 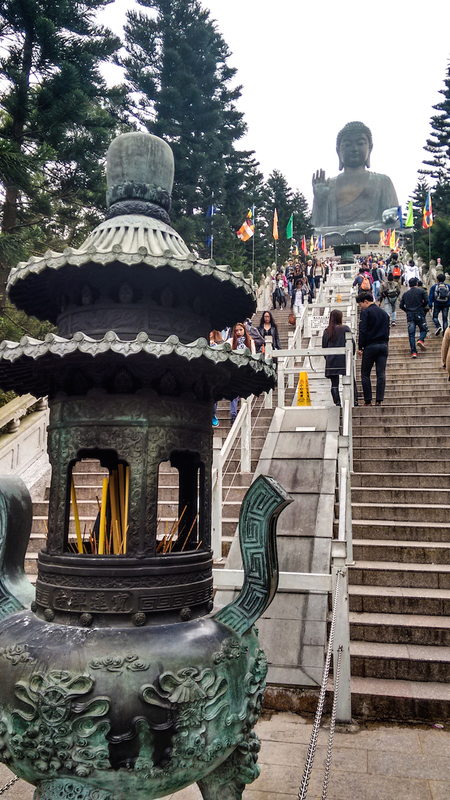 Surrounded by lush green hills, Po Lin monastery and a cultural area, Big Buddha is a major tourist attraction in Hong Kong. A flight of stairs - 268 to be exact, running along the hill takes you to the bottom of the bronze statue, where you can walk underneath it and visit the museum inside. The valley looks peaceful, apart from the hustle of tourists and sounds of camera working overtime. Numerous artistically sculpted structures, large and beautiful, are situated around the statue. As we walked down the stairs, I was struck by a feeling of gratitude, of being fortunate to see a unique part of the world. The humble look on Big Buddha's face stayed with me for long. Beautiful images! and so many steps - makes one contemplative about life & fitness no doubt! Such a wonderful place to visit - I can only imagine being able to sit here (with ear plugs - thanks for the warning) & absorb! Gorgeous. I saw a detailed post about this Buddha some months ago on a travel blogger's blog and yearned to go there. Sadly, I've been just transiting through all the airports whose cities I desperately want to visit. Ah, in good time. Thank you for the photos--the valley is stunning Raj! I have seen pictures of this last time a friend visited the place. Like Vidya said, in good time will visit some gorgeous places. Beautiful pics. Beautiful images..Now visiting Hong Kong is in my bucket list. Beautiful. I've been to Hong Kong twice (many moons ago) but don't recall seeing this. Maybe I should take a trip to HK. 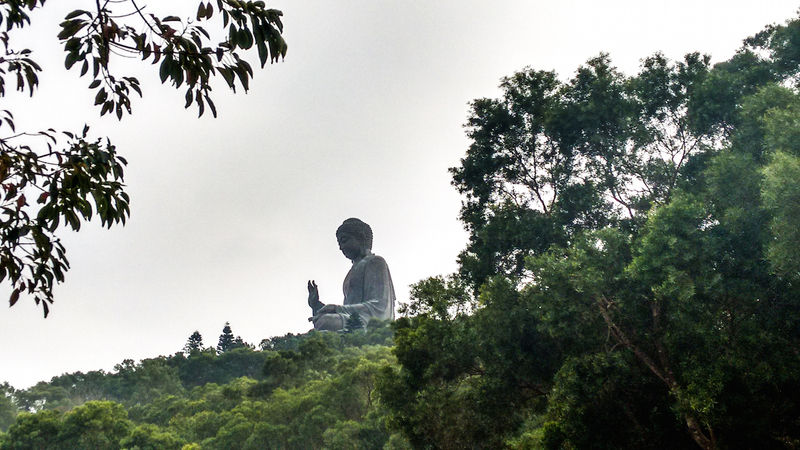 Looking at the serene Buddha statue brings a bit of serenity and calmness in our day too. Lovely pics! Wow! This is huge! and yet so calming! Wonderful pics! Stunning pictures! 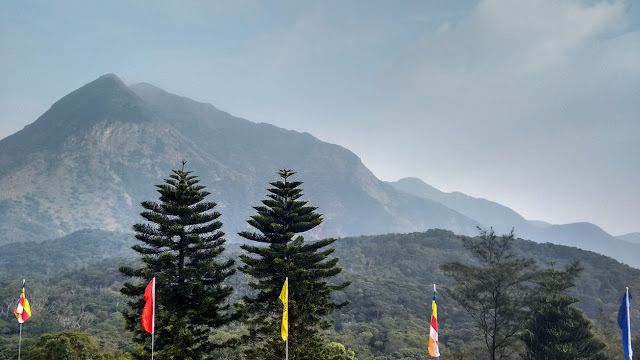 The mountains, the valleys, the Buddha - magnificent! I also like to travel, but Hong Kong is not a place I have visited yet. 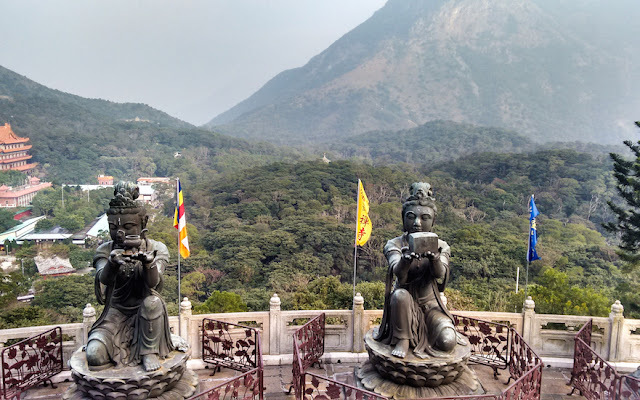 Enjoyed the short 'visit' to the Big Buddha. Visiting from Travelling Spoons. Absolutely stunning photographs. Despite the tourists, there does seem to be a sort of tranquility to the statue and the forest surrounding it... beautiful. Lovely pics, Raj! 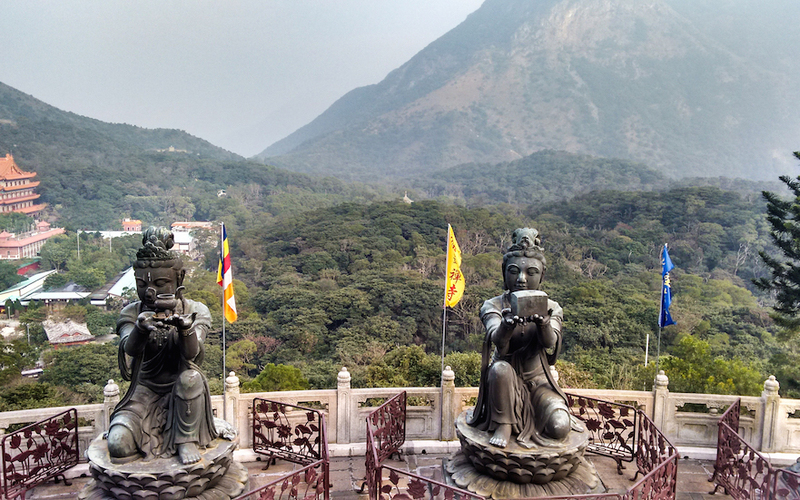 The Buddha statue looks so serene. Would love to visit this place sometime. Lovely snaps Raj. When I had visited it was bad weather with rains, we couldn't enjoy it as much.